High consumer awareness is essential for any business success. To create this, you must make your brand outreach the target customers. 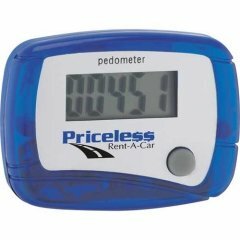 This could be very well done by using custom single function pedometer. 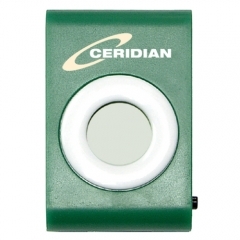 This green device will travel with your customers wherever they go as it will serve them as a daily utility. 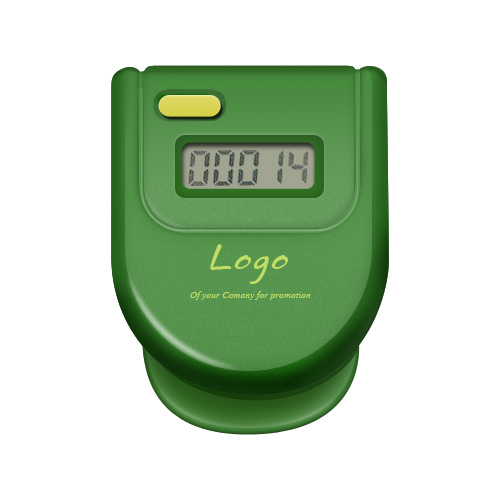 The promotional single function pedometer helps to spread your brand name far and wide among others through your customers and well wishers. This free give away motivates them for a better living. The customized single function pedometer displays the screen on to a large screen. The front area offers ideal space to imprint the brand logo and name. Imprint Area : 1" x 7/16"
Product Size : 1 3/8" x 1 3/4"